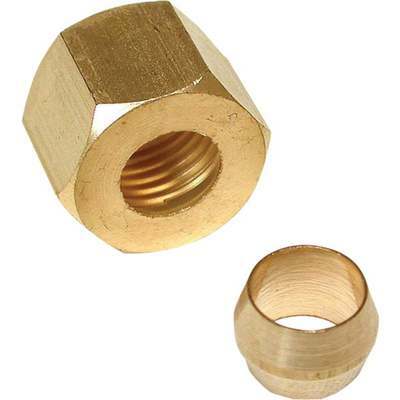 Compression nut and sleeve. Brass. Use with plastic and copper tubing.